If your Macbook Pro fan is always on, loud, not working, or experiencing other problems like invariable fan speed, or excessive noise, then there may be several things you can try to fix this. A Macbook Pro fan should always be on. However it should not be excessively noisy or running at a high speed all the time. If it is running at maximum RPM (usually about 6000 on a Macbook Pro), this indicates there is software running on your Mac that is stressing the CPU or GPU. Open Activity Monitor to see which apps are using the most CPU. You can also see which apps are using the most energy as well. Apps like Photoshop, Final Cut Pro, and VMware Fusion/Parallels tend to cause the fans to speed up, as the temperature of your CPU/GPU will increase when using those apps. Disable Flash in your browser. Flash is now disabled by default in Firefox. In Chrome, you can use Flashcontrol to disable instances of Flash (it still allows you to view Flash on a per-site basis as needed). It’s one of the biggest causes of CPU/GPU stress, and will no doubt increase your Macbook Pro fan speed because Flash is so intensive on hardware. Restart your Macbook Pro. If the fan is continually running at a high speed, try a Restart. If a restart doesn’t work, try resetting the SMC and PRAM. The SMC reset especially may help. Find out how to Reset the SMC and Reset the PRAM. If your Macbook Pro fan is loud most of the time, it may indicate its running faster than it should be, or there is something triggering it to do this. Make sure it is not clogged with dust. Fans are noisy when they have to run faster, and it may be running faster because its clogged with dust. Dust will dramatically reduce the effectiveness of your Macbook Pro fan. It is quite easy to clean a Macbook Pro fan, you can even try to do it without opening your Macbook Pro by using a can of compressed air and pushing the air through the vents at the back of your Macbook Pro. If you are using external displays. Macbook and almost of Mac fans would be noisy if you’re connecting external displays, especially high resolution ones because your Graphic Card will be working with max performance which will make the fans noise. Like, if your Macbook supports max 2 external displays with max resolution at 2k / each, then if you connect only 1 display – it would be fine, but if you connect 2 external display at 2k resolution -> Your fans maybe noisy then. The solution here is connecting less external displays or lower resolution, or if you really need those high resolution external displays, upgrade your Macbook then. You may need to replace the fans. Old fans are typically louder than new ones. If your fans are always noisy, even when not running very fast, this would indicate that the fans have simply worn out. By default, the firmware in a Macbook Pro controls the speed of the fans. Apple pre-determines when the fans should kick in at high speed if the CPU/GPU are hot. Apple don’t provide any friendly interfaces to control the fan behavior manually, so you have to install third party utilities to do this. Smcfancontrol gives you the control to decide what speeds your fans should be running at. You can set favorite settings for the left/right fans in your Macbook Pro. By default, on ordinary load, the fans in a Macbook Pro run at 2000 RPM. I’ve always run mine at 3000 RPM, to keep the CPU/GPU temperatures extra low. If you are running Flash, a game, or something else that’s CPU/GPU intensive (video encoding, compressing files, decompression, image manipulation, etc), then you can choose to select your Higher RPM favorite setting, e.g. 5000 RPM. 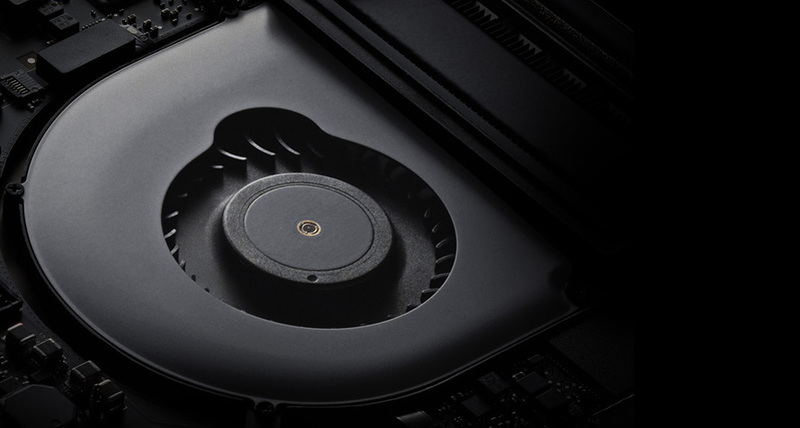 Although this will make the fans louder, it will keep your Mac a lot cooler. The istats program, that you can run in the Terminal, gives a useful overview of the current CPU temperature, Battery Health, and Fan Speeds. Was hoping to see something on the last topic, since my fan isn’t working at all. Too bad there is nothing about this in the article, making it bad for me. Hope to see an update. The fan starts running with a grinding noise at startup. I did an smc reset – didn’t seem to reset. Didn’t work. I did a PRAM reset. Didn’t work. The temp is not even high according to smcfancontrol. I will have no app open and nothing opening on startup. The fan runs with a grindy noise all the time. Should I probably replace it? Since there is a grinding noise, then there are two possibilities. 2. The ball bearing for the fan axle is failing due to dirt getting into the casing or the lubrication drying or seeping out. For 1. Try blowing out any dust or particles using compressed air from a can. For 2. If the ball bearing is failing or dirty, then you’ll need to replace the fan. Thanks for this great post. It helped me.